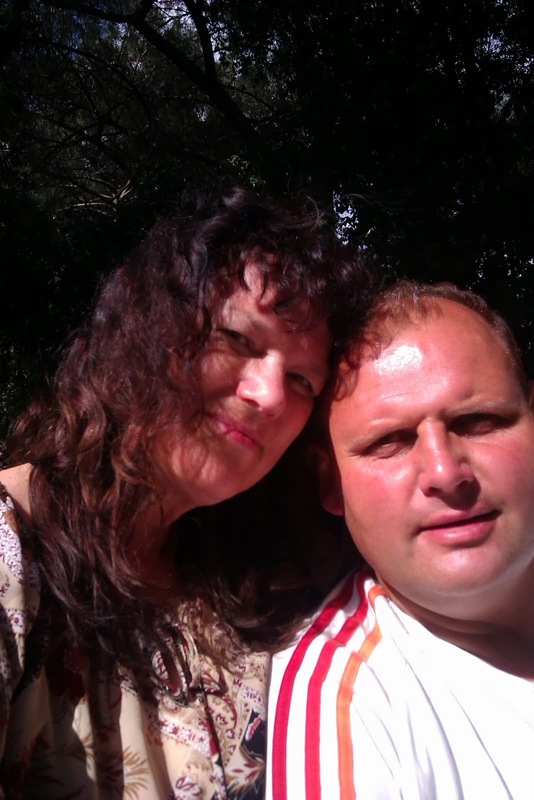 Picture of me and my beautiful wife Berit I have 27 years of living with, and no other, I have neither been married or have children. This is the most important criterion one should have, to possess a spiritual ministry in the church of God; to be a woman's man. I thought you should seriously reconsider the whole blog and your business now, it seems counterproductive. My experience is simply that many have sympathy with those who are remarriage and in key positions because of your blog. 1 Cor. 4 1 Then shall you regard us as servants of Christ and stewards of the mysteries of God. 2 Of the managers required that they be found trustworthy. 3 But to me it means nothing if I am judged by you or by any human court. I am not my own judgments. 4 For I know of nothing wrong I've done. But I am not thereby acquitted, for the Lord is the one who judges me. 5 Therefore judge not before the time, until the Lord comes. He will bring to light the hidden things of darkness and reveal the thoughts. Then God will give all the praise he deserves. I have two major goals in life. 1) Be saved, to experience sluttfrelsen. 2) Get full pay on the day I will stand before Christ with my life. The biggest is of course to share in sluttfrelsen, the second largest is getting full pay and hear on that day: Matt. 24 45 Who then is the faithful and wise servant, whom his lord hath made ruler over his household, to give them meat in due season? 46 Blessed is that servant whom his master will find so doing when he comes back! 47 Verily I say unto you, he will set him over all his goods. 1) I thought you ought to seriously rethink the whole blog and your business now, it seems counterproductive. 2) I feel simply that many have sympathy with those who are remarriage and in key positions because of your blog. Answer to Question 1: I'm quite sure that it does. More and more people are reading it and I'm quite sure that many also think through what I write even if it is difficult for many people to do something about it then costs would become too large. and turn the heart away from the Lord. in the salt land where no one lives. It can not be cured. Human sympathy is the worst and last trusting and emphasize, there is nothing that is more deceitful than the human heart, and trust what is basically relying on Satan! It is of course important to hear and listen to others, but it is also important and necessary to be aware of the mission and ministry as yourself. My service is not just to preach repentance to the unsaved and tell that God is good, this is important. But exhort, rebuke and preach a doctrine capable by the faithful for every good work. Therefore, Kjell Andersen and so many others' well-meaning and "good" advice actually go in the Ondes service by them to get me to stop to warn the people of God and view the the right way to go! Rooms. 12 3 By the grace I have received, I say to every one of you: Do not think too much thoughts about yourself, but think soberly! Each one should stick to the measure of faith God has given him. 4 We have one body but many members, all with different tasks. 5 In the same way, we are all one body in Christ, and each of us we are members one of another. 6 We have different gifts, according to the grace God has given us. He who has the gift of prophecy, use it according to the faith, the seven that have a service to take care of his ministry, he who is a teacher, teach, 8 and that comfort should really comforting. He who gives of his own, to do so without ulterior motives, it is to lead, do it diligently, the showing mercy, let him do it cheerfully. I have more gifts, it is most clearly enough what the apostle Paul writes: "We have different gifts, according to the grace God has given us. He who has the gift of prophecy, use it according to the faith, who has a service to take care of his ministry, he who is a teacher, teach. " Should I stop or change? Hope I'm changing little by little and not static and is the same wheel tracks year after year. But quit? Never!